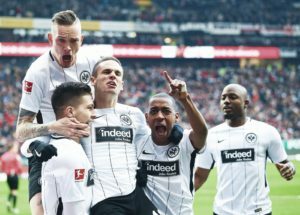 Defending an unbeaten record of 15 matches, Eintracht Frankfurt face Portuguese league leaders Benfica on Thursday, April 11, in the first leg of the Europa League 2018/2019 quarter-finals. The meeting will be based on the Luz stadium in Lisbon. The start is scheduled for 16h (Brasília time). The definition of the winner is made in the same way as in the previous matches. Whoever scores the most points after the two starts survives in the title fight. In case of equality, the goal balance is the first tiebreaker. If necessary, the number of hits logged in as a visitor can also be used to determine who wins. If even that does not resolve the situation, a 30-minute extension will be held after the second game where the goal away from home also carries greater weight. If the extra time is 0-0, the setting will be made through penalty kicks.The Portuguese team had the opportunity to count on a kind of luxury training on Sunday, April 7. His commitment for the twenty-eighth round of the 2018/2019 season of the Primera Liga was the lantern and virtually downgraded Feirense. He did not have to push hard for a 4-1 win and return to the top of the tournament.He reached the level of 69 points (22 wins, three draws and three defeats) equaling Porto, who had taken the lead on Friday, April 5, by beating Boavista by 2-0. However, Lisbon have a large advantage in the goal balance, which is the first tiebreaker.Putting the ball in the net, however, could be a problem at this Thursday’s meeting. That is because the most important striker of Benfica can not act. Brazilian Jonas is suspended for the accumulation of yellow cards. The loss turns out to be more significant because another striker, the Argentine Eduardo Salvio, is delivered to the care of the medical department and not able to enter the field.Thus, coach Bruno Lage will only count as an option for the offensive sector with Swiss Haris Seferovic, who scored 18 goals in 23 matches in the Portuguese Championship, and young 20-year-old Jota, who had quick appearances in three matches First League.The number of embezzlements can be even greater. The defenders German Conti and Jardel are in injury treatment; and midfielder Gabriel. They should be evaluated before departure to see if they will be at Lage’s disposal. Schalke’s commitment to the German Championship this weekend was set for Saturday, April 6. As a visitor, the team beat Schalke 2-1 to reach their fifth straight win and extend their undefeated series by scoring all tournaments for 15 games (nine wins and six losses).In the Bundesliga, he reached 52 points (15 wins, seven draws and six losses) taking fourth place. He entered for the first time of the season in the zone of classification for next edition of Champions League.As a visitor, your performance is even better. 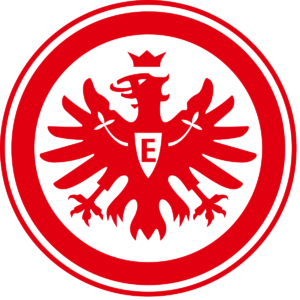 In this ranking, Eintracht Frankfurt is the third best in the German Championship. Of the 42 points he played in column two, he earned 25 (seven wins, four draws and three losses) having scored 25 goals and conceded 15.The injury problems for Thursday’s meeting are defenders Taleb Tawatha and Almamy Toure; midfielders Mijat Gacinovic and Sebastian Rode; and striker Sebastien Haller. 1. The latest information before playing Benfica vs Frankfurt! It comes after a win in the Primeira Liga (1-4, on Feirense’s field). She is unbeaten in the last 8 matches played on her own in all competitions. He scored at least 1 goal in 18 of the last 19 games played at home. Seferovic and Joao Felix form a couple of lethal attacks. 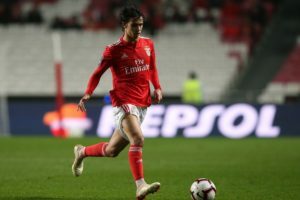 In the Primeira Liga, Seferovic scored 18 goals in 23 rounds, and Joao Felix scored 10 goals in 20 rounds. According to Bazonline.ch, Seferovic said in an interview with Basler Zeitung (an important newspaper in Switzerland) that he is well on the field with Joao Felix and that they complement one another. In the last two Europa League games he played at home scored below 2.5 goals and did not receive a goal. Conti, Ebuehi and Gabriel are unavailable. It is in an impressive form, being unbeaten in the last 15 games played in all competitions. He scored at least 1 goal in 10 of the last 11 games played. He has won 4 wins in the last 4 games. It is unbeaten in the 5 Europa League matches on the field this season, recording 4 wins and a draw. He scored at least 1 goal in each of the 5 Europa League matches played away. Jovic scored in 3 of the last four games. Gelson Fernandes returns after suspension. 2. Benfica vs Frankfurt teams likely! This is the first direct meeting. With limitations in its offensive sector, Benfica should have a slightly less bold stance on Thursday. Eintracht Frankfurt also should not risk much, since it has the possibility to decide at home. Thus, the prognosis in the equality ends up being good option for the game of the round one of the quarterfinals of Europa League. Although Benfica has the advantage of own land and is the favorite in this dispute, I think Frankfurt will be able to leave the undefeated Estadio da Luz. The German team is in an impressive form, with players of a very high individuality and relying heavily on the strength of the group. Frankfurt is unbeaten in the last 15 matches played in all competitions. In the last 4 matches played outside, Frankfurt won 4 wins. In the 5 European League matches on the field this season, Frankfurt came out unbeaten, with four wins and a draw.